Across the centuries, memorials have acted as public sites of collective remembrance and markers of our shared cultural heritage. Some monuments continue to hold a contemporary significance, while others have become obsolete in an ever-changing urban and social landscape; their meanings often lost from civic consciousness. 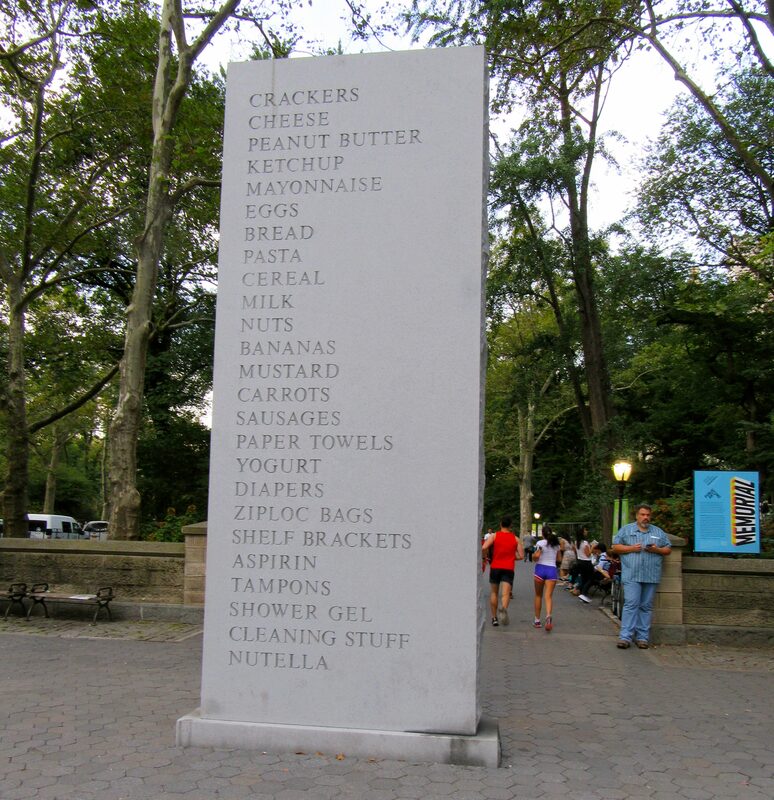 Memorial, by British artist David Shrigley honors one of the most common of all acts: the writing for a grocery list. By engrave this ephemeral, throwaway list on a solid slab of granite — a material ubiquitous with the language of monuments — the artist humorously subverts both a daily routine and the role of the classic memorial. While Shrigley’s shopping list might appear to posture as a counter-monument, through its celebration of common activity, its anonymity and absurdity, the sculpture becomes a memorial both to no one and to everyone — perhaps standing as a simple but poignant ode to humanity. 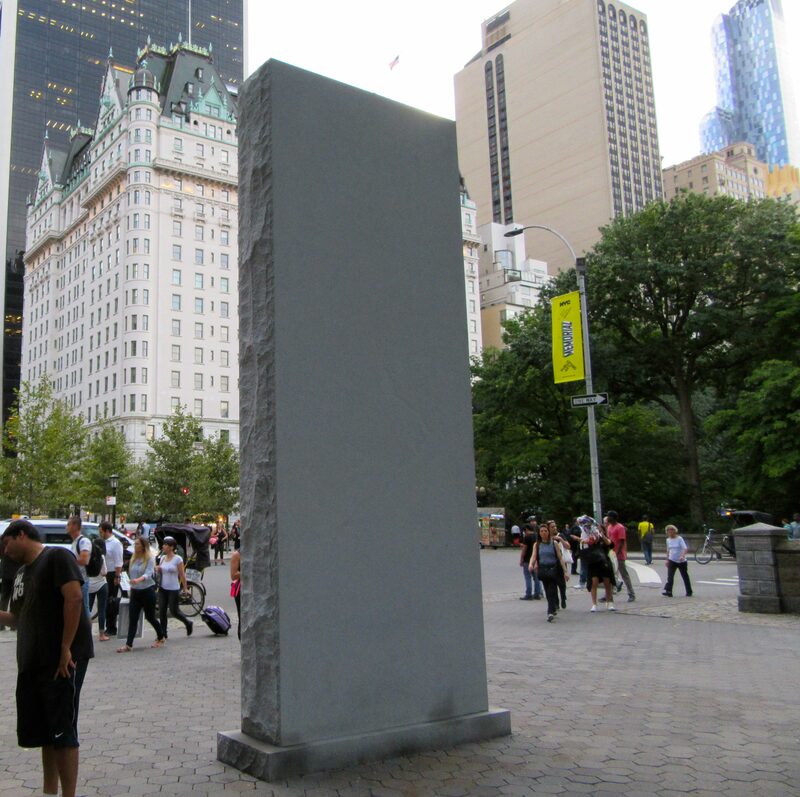 David Shrigley: Memorial will be on view through February 26, 2017 in Doris C. Freedman Plaza, Central Park, Fifth Avenue at 59th Street.